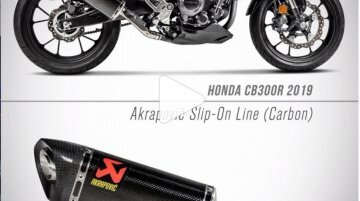 Aftermarket performance exhaust manufacturer, Akrapovic has introduced a new slip-on carbon-fibre muffler for the Honda CB300R. 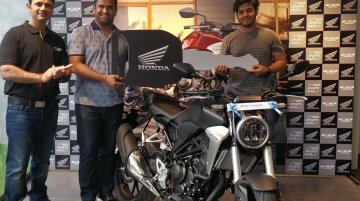 The CB300R is sold out in India for the next three months. Honda 2Wheelers India launched the new CB300R in India on February 8, at an ex-showroom (pan-India) price of INR 2.41 lakh. 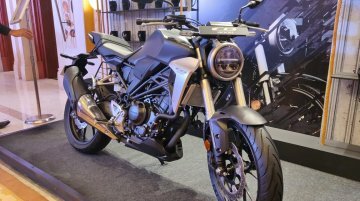 At the launch, HMSI displayed the accessorised version of the CB300R that.. 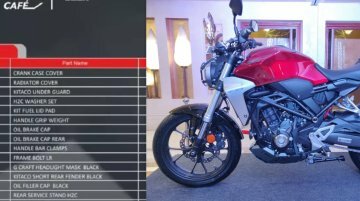 The Honda CB300R was launched in the Indian market at INR 2.41 lakh (ex-showroom, India) placing it just below the KTM 390 Duke (INR 2.44 lakh – ex-showroom) in terms of pricing. 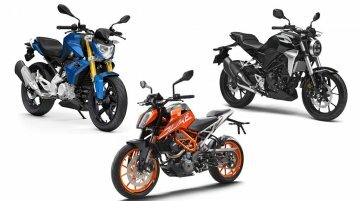 In the recent past,..
Honda has stayed away from the 250-500 cc segment of the Indian market, and except the CBR250R, the Japanese two-wheeler brand has not had any product in the category, yet. 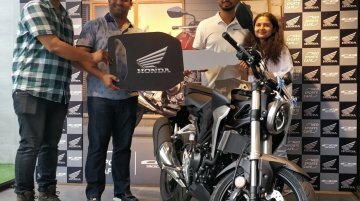 After commencing the..
Honda Motorcycles &amp; Scooters India (HMSI) has launched the Honda CB300R at an ex-showroom (pan-India) price of INR 2.41 lakh. 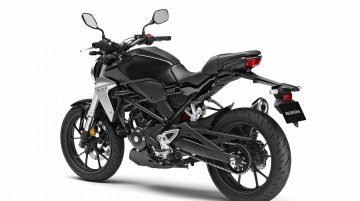 The new motorcycle, which has been on sale in over 40 countries, comes..
Honda will launch the CB300R in the Indian market on February 8, 2019, and the motorcycle would lock horns with the KTM 390 Duke. 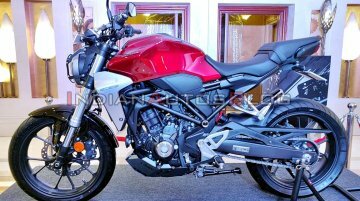 The Honda CB300R, despite coming to India via the CKD route, would be..
How quick is the Honda CB300R off the line? 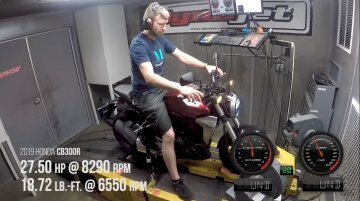 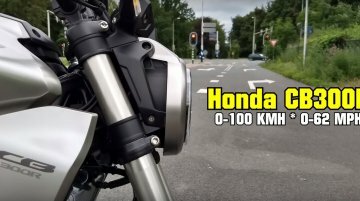 The onboard footage reveals the acceleration numbers of the sub-500cc CB series product from Honda. 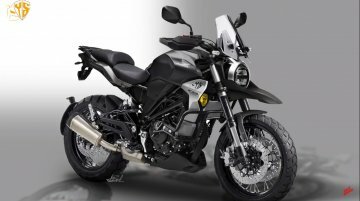 The motorcycle, as seen in the video below, accelerates.. 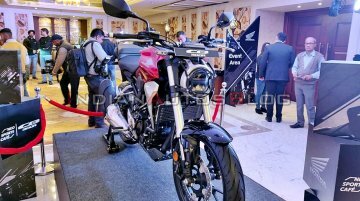 The Honda CB300R will be the newest modern-retro roadster to be introduced in India after Royal Enfield launched the 650 Twins in the country. 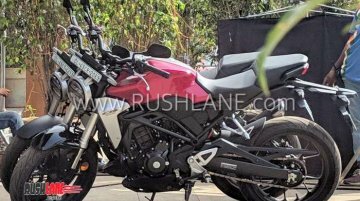 Ahead of its launch, the Indian-spec CB300R was spied.. 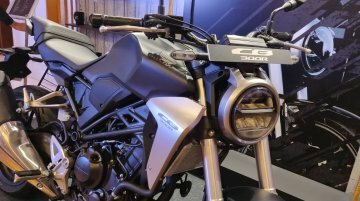 The upcoming Honda CB300R was spotted in India for the first time. 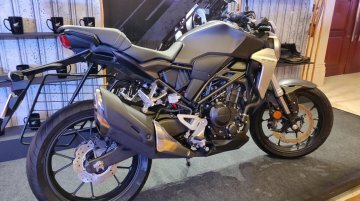 Honda seems to have been busy creating a promotional video for the CB300R when the motorcycle was photographed. 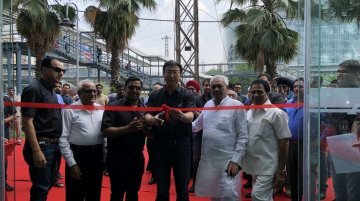 The mandatory saree..